ByggStik was developed specifically for working with high value building components and rapid building assembly. 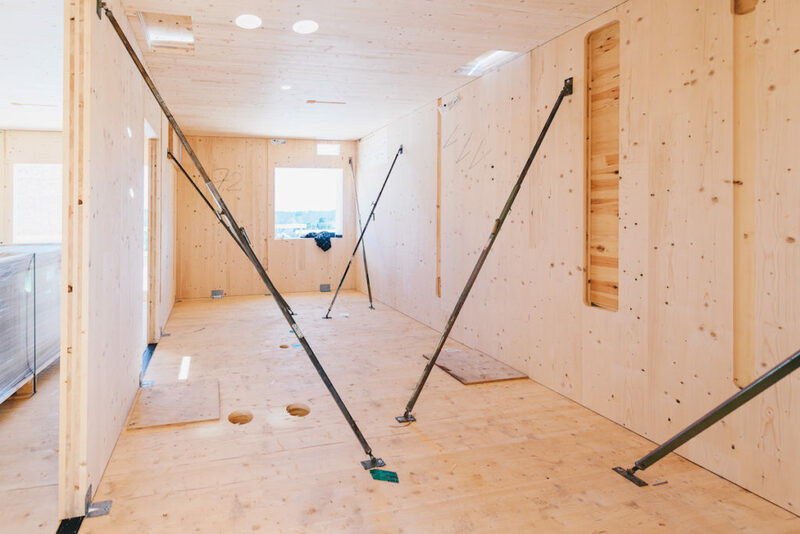 It is the perfect brace for SIPs, CLT, and other modern forms of construction. ByggHouse was at the recent Mass Wood Conference in Portland introducing this new product to the North American market. This quickly maturing building system is in process of establishing proper work methods, which good bracing will be part of. CLT construction should have engineered erection documentation that includes the specification of bracing points, determined by calculations utilizing bracing of known load capacity. CLT buildings are going taller, and lateral forces from wind with height is going to be part of building this way. Propping your work with used 2x4s is just not going to suffice anymore. @PassiveHouseBB @lloydalter I'll bite: approximately how much being spent to design 740 sq.ft ADU?